Hong Kong (Apr 8, 2019) – Regent Seven Seas Cruises®, the leading luxury ocean cruise line, announced that Captain Serena Melani will helm the cruise line’s newest ship, Seven Seas SplendorTM, making her the first woman in cruise industry history to captain a new cruise ship at launch. 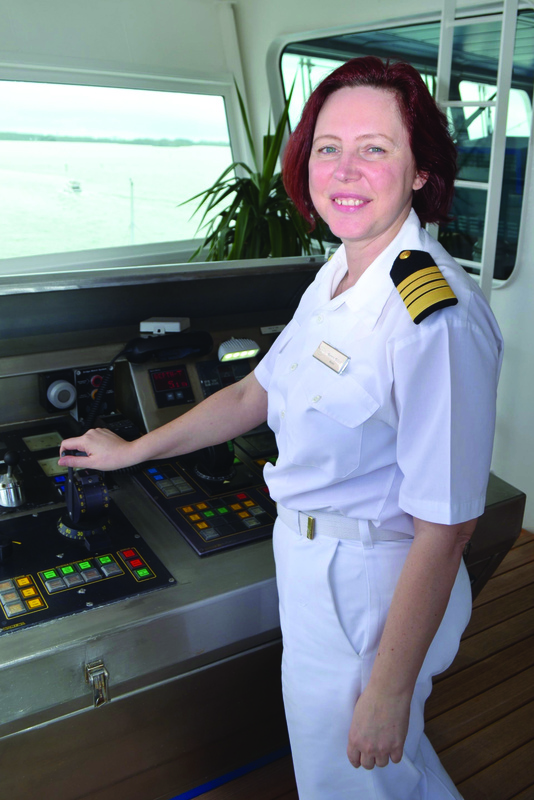 Captain Melani, 45, has progressed quickly in her nearly 30-year career to roles of cruise ship leadership. She began her nautical career at age 16 as a cadet while attending school working on cargo ships in her hometown of Livorno, Italy, along the Tirrenian Sea in the Tuscany region. After graduating from Nautical College in 1993, she was one of only a few females to hold roles of increasing responsibilities on oil tankers, cargo and container vessels. 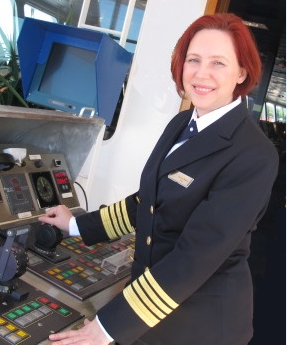 Captain Melani joined Regent in 2010 as a Bridge Officer, then served as Navigation Officer, Safety Officer and Staff Captain on Seven Seas Voyager. She became the company’s first female Master Captain in 2016 and has led Seven Seas Explorer, Seven Seas Mariner and Seven Seas Navigator during her tenure. “There is a growing number of very talented female captains emerging in our industry, and we’re proud to be pioneers for those women who aspire to lead the Bridge,” Captain Melani said. “Exploring the world and leading ship teams has been a love of mine and I enjoy sharing this passion with everyone who sails with us. I’ve always believed in the motto that the cure for everything resides in salt water -- sweat, tears and the sea. 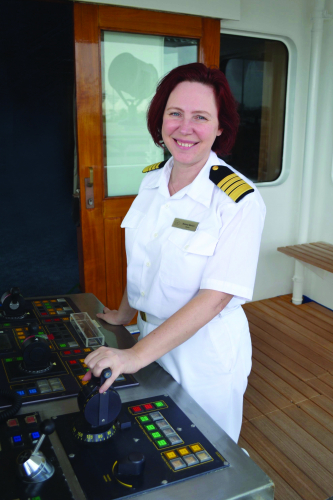 Captain Melani, who lives with her husband on the quaint Croatian island of Korcula when not sailing the world, will spend much of this year in the Ancona, Italy shipyard where Seven Seas Splendor is being built, collaborating with engineers and designers to ensure the ship’s form and function is perfect from a captain’s perspective. In this capacity she will have an influential role in the ship that perfects luxury, even before she sets sail. At approximately 55,000 gross-registered tons and carrying only 750 guests, Seven Seas Splendor will boast one of the highest space ratios and staff-to-guest ratios in the cruise industry. She features the Regent Suite, which will be the largest suite constructed on a luxury cruise ship with more than 3,000 square-feet of interior accommodations and a 1,300 square-foot wraparound veranda, complete with an in-suite spa retreat showcasing a personal sauna, steam room and treatment area with unlimited spa treatments, unobstructed 270-degree views over the ship’s bow and a glass-enclosed solarium sitting area on top of the bridge for a Captain’s view. Regent Suite guests enjoy a dedicated personal butler to manage all the details of the guests’ experience, a personal car with driver and guide in every port, and the exquisite comfort of a custom, hand-crafted $200,000 Vividus bed from the renowned Hästens brand. The comfort and style found in the Regent Suite sets the tone for all suite categories on board, where guests will enjoy the most indulging accommodations and the largest balconies in the cruise industry. The 14 other suite categories range from 300 square-feet to 2,100 square-feet – all elegant, plush and stunning. Throughout the ship, abundant crystal chandeliers, vibrant paintings and sculptures, imported Italian marble and custom-designed, hand-crafted furnishings will create captivating surroundings for guests. A limited number of suites are available for sailings during Seven Seas Splendor’s inaugural season. To learn more, please visit www.RSSC.com, call Singapore 800-616-7097 / India 0008-0004-01055 / Hong Kong and Rest of Asia +852 2165 6020, or contact a professional travel advisor. Regent Seven Seas Cruises offers an unrivaled experience to luxury travelers. The cruise line’s modern four-ship fleet visits more than 450 iconic and immersive destinations around the world, and will add Seven Seas Splendor in 2020 and then grow by a sixth ship in 2023. All luxuries are included in Regent voyages, such as all-suite accommodations, the largest collection of unlimited shore excursions, unlimited internet access, highly personalized service, exquisite cuisine, fine wines and spirits, gratuities, ground transfers and one-night, pre-cruise hotel packages for guests staying in Concierge-level suites and higher. In 2018 the cruise line concluded a $125 million refurbishment program of Seven Seas Mariner, Seven Seas Voyager and Seven Seas Navigator to elevate the fleet’s elegance to the benchmark set by Seven Seas Explorer.